Transatlantic production group Alchemy has linked up with The Jim Henson Company (TJHC) in the US to make a preschool show based on toy property Teddy Ruxpin. The animated adventure show is aimed at three- to seven-year-olds and will see Teddy, an animatronic toy bear that previously spawned an animated series in the 1980s, return to screens using digital puppetry technology from Jim Henson’s Creature Shop. 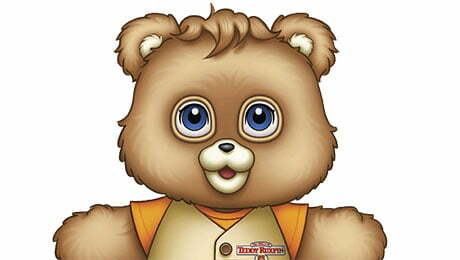 John Tartaglia (Splash & Bubbles, Johnny & the Sprites) is the showrunner on the project and Russell Hicks, who was the head illustrator for Alchemy upon the original animated Teddy Ruxpin’s launch, will produce. Toy partner Wicked Cool Toys, which won the Toy of the Year award in 2017 for the relaunch of the animatronic Teddy Ruxpin, is also producing, while Lisa Henson and Halle Stanford are executive producers for TJHC. The new series will focus on “important” themes and skills like fostering self-esteem, empathy and individuality. The original Teddy Ruxpin cartoon aired in syndication in the US and Canada for two seasons totalling 65 episodes between 1986 and 1987. TJHC has recently developed TV series based on two classic book properties in partnership with Rehab Entertainment and 2 Friends Entertainment.